The last time I purchased something from China I was completely disappointed and I vowed never to shop from there again but I must say, I was tempted to try it out again when I kept seeing these amazing skater skirts on many bloggers. I received my skirt about two weeks after placing the order and I’m in love with it. The color and fit are just perfect! I should make a note however, that these skirts come in one size (I know) and that size is small, I guess because most Chinese people are small, I don’t know. 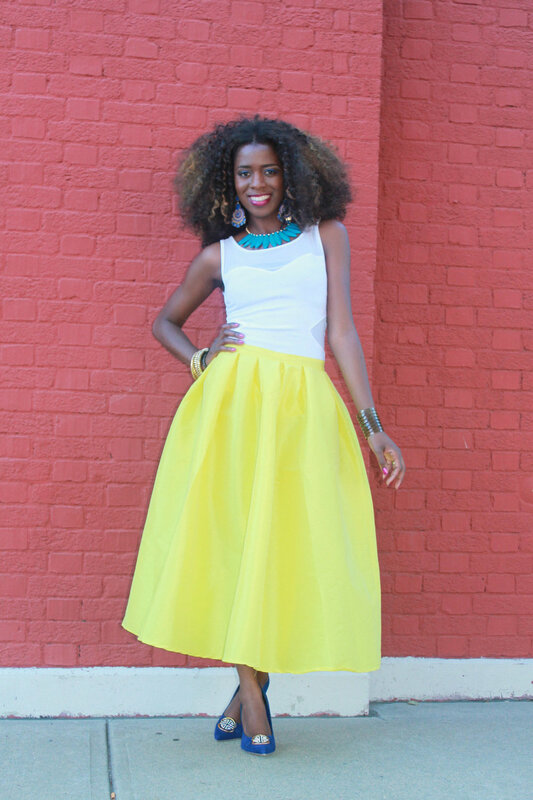 The skirt itself is a statement piece but I wanted to add some more statement pieces that complemented the skirt. I loved the color of the heels (from Rainbow) and necklace (from Sears); they were a perfect completion to the outfit.